A few weeks ago I posted an update about the new water cannons at Jurassic Park Rapids Adventure. They weren’t working back then. I revisited the park on 17th April and both cannons were up and running! 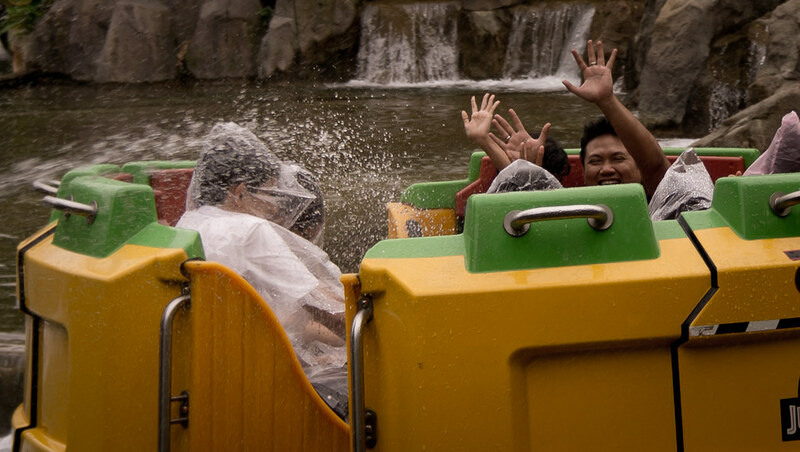 The two water cannons here allow park guests to “splash the riders one more time”. 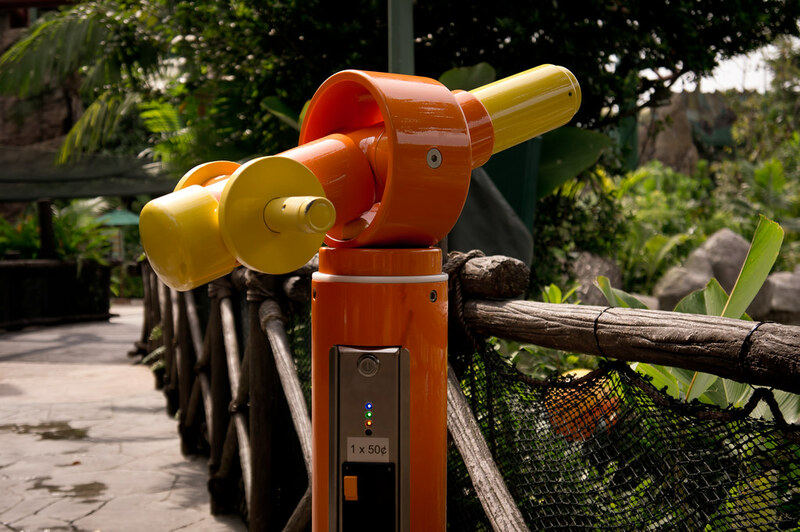 They are located at the splashdown viewing area (close to Dino-Soarin’). The one shown in the photos has a prime view of the splashdown, while the second is located on its right, a few metres away. 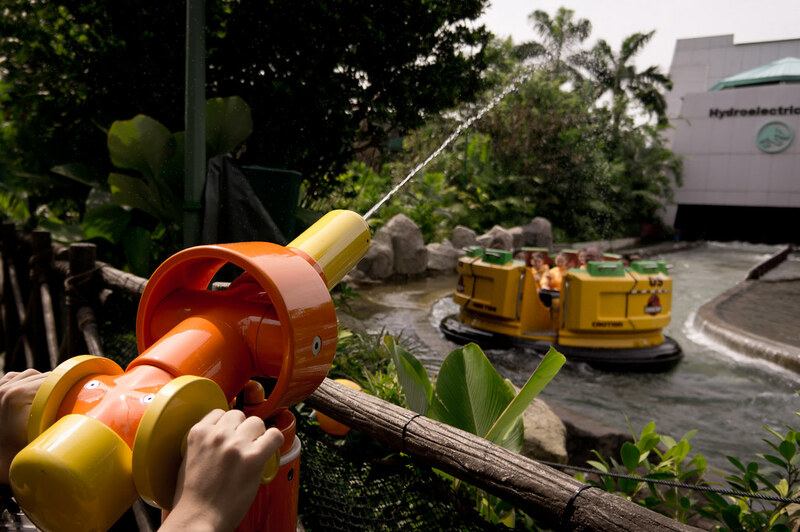 Similar water cannons can be found at the Popeye and Bluto’s Bilge-Rat Barges at Universal’s Island of Adventure. Those are free to use, though. Back to Jurassic Park Rapids Adventure: Each water cannon costs $0.50 per play. 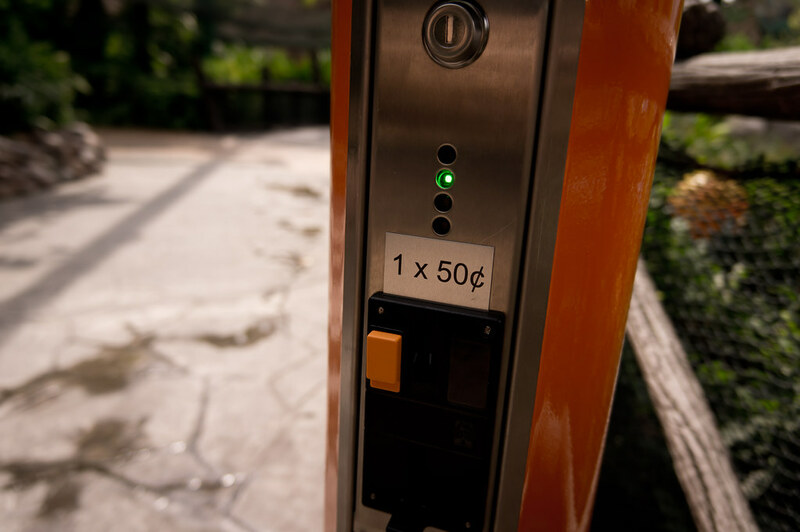 The machines will only accept 50-cent coins. 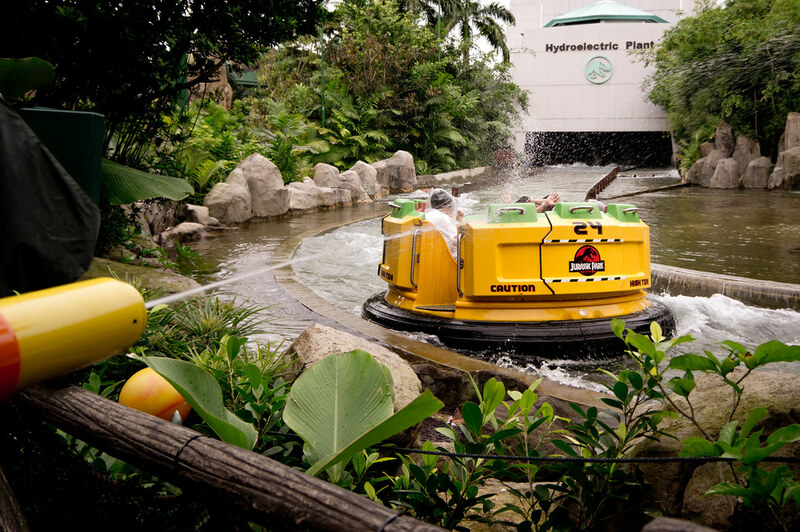 If you need change, head to the Dino-Store or pushcarts around the Jurassic Park zone. Notice that there are four LED lights above the coin slot. Those lights denote the amount of time left. You start with 4, and it will deplete eventually. There’s no way to control the water. It just runs, and you can swivel the cannon (about 120 degrees horizontally) and tilt it up and down. The water will run for about 30 seconds, which is good for spraying at one raft during slow periods, or two rafts when Jurassic Park Rapids Adventure is running at maximum capacity (make sure the wait times are over 60 minutes for this). Given that the cannons are on street level, and that the rafts offer good cover for the riders, you can either try doing a lob shot, by aiming higher. Or if you want to, aim directly! The water jets become dispersed after a few metres, so it won’t be painful for riders. 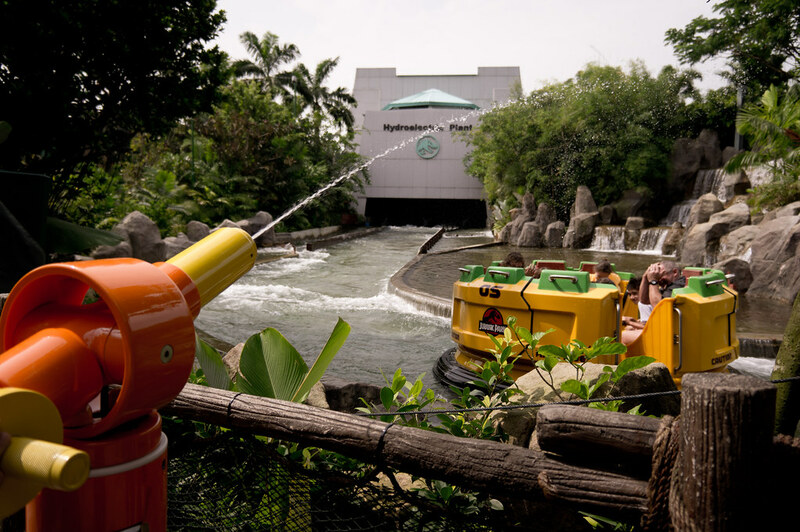 This is a fun addition to the park, albeit rather random – unlike Popeye and Bluto’s Bilge-Rat Barges, Water cannons here does not quite fit the theme of ride, or the concept of Jurassic Park. It just offers cheap thrills and for the park, a source of revenue. But beware of karma – It’s probably a good idea to make a quick dash once you’re done – your “victims” will disembark from the boats soon and are just mere minutes away from the water cannons! I tried the cannons once and it was fun. The water just stopped right before the second raft came into the range!!!!! I think I just scared them…..